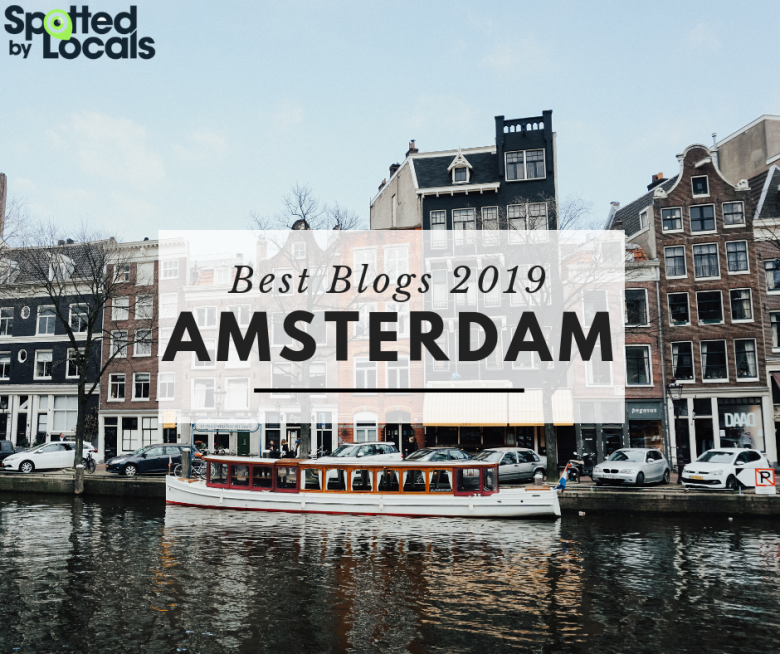 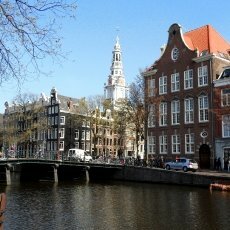 Walking through the Nieuwmarkt area, on the Sint Antoniesbreestraat, Raamgracht or along the Groenburgwal canal, it’s impossible not to notice the beautiful white-reddish tower that dominates the entire area. 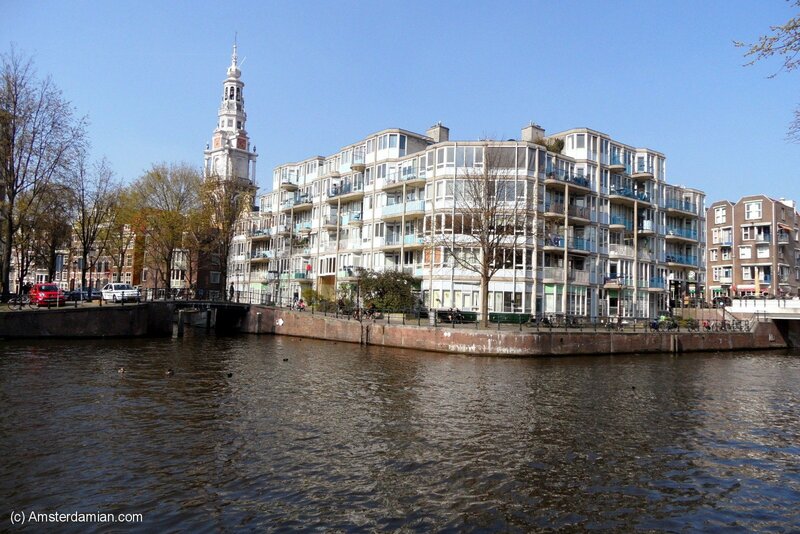 This is Zuiderkerk’s tower, one of the finest in the city. 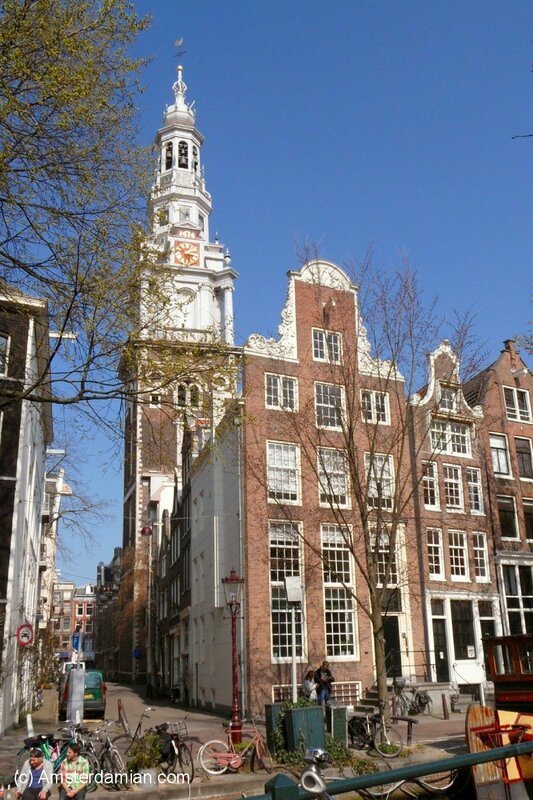 Zuiderkerk (South Church in English) was the first Protestant church built in Amsterdam, in the 17th Century. 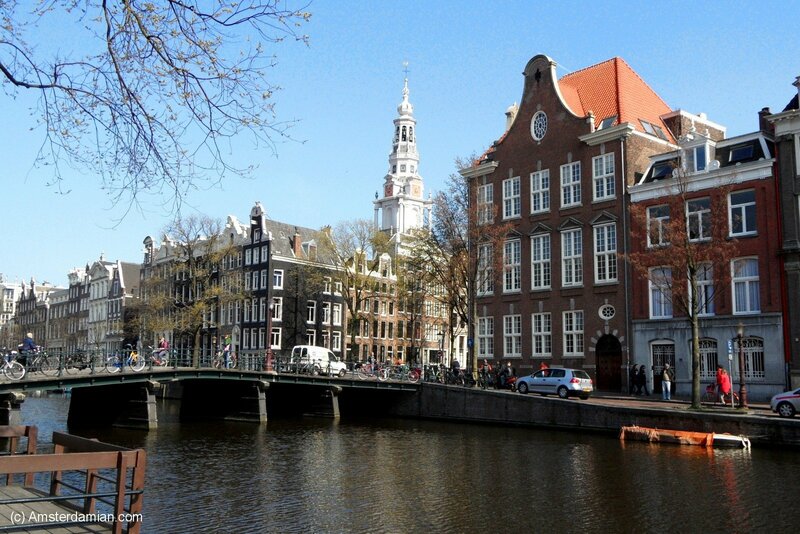 The church is situated between Nieuwmarkt and Waterlooplein, in the appropriately named Zuiderkerkhof square. 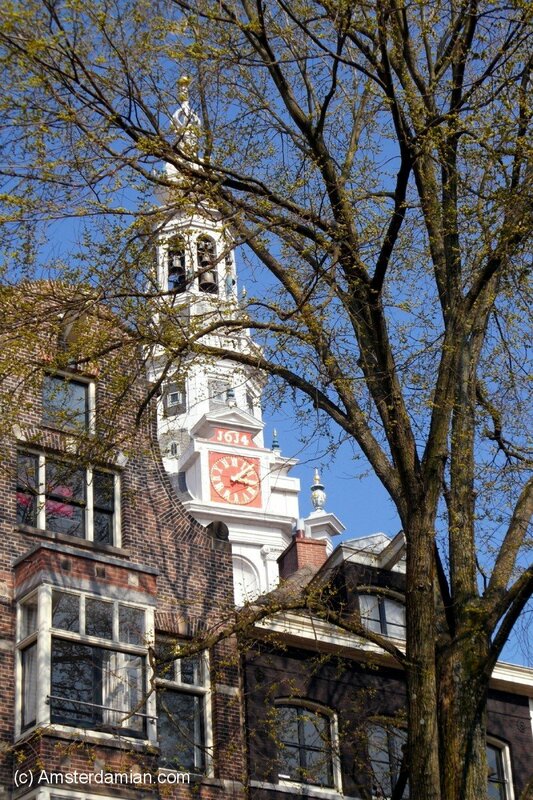 It was designed by Hendrick de Keyser in Renaissance style and has this beautiful, distinctive tower which contains a carillon of bells by the famous carillon builders — the Hemony brothers. 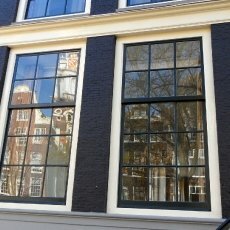 The church played an important role in Rembrandt’s life as three of his children were buried there (since it is also situated close to the painter’s house). 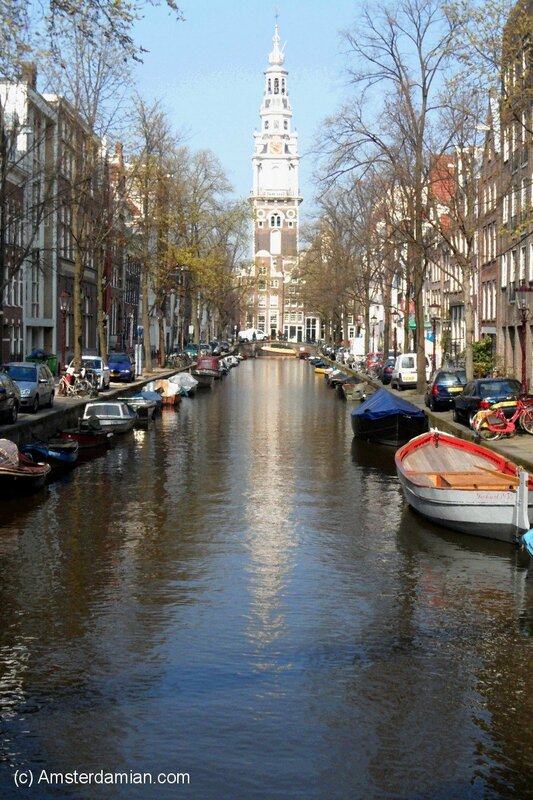 The tower impressed many artists though the years, the most famous representation being Claude Monet’s painting “The Zuiderkerk, Amsterdam“. 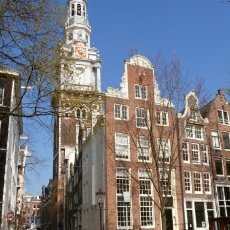 Keeping pace with the times, the Zuiderkerk is no longer used for religious services but houses different exhibitions, and it opens it’s doors to visitors. 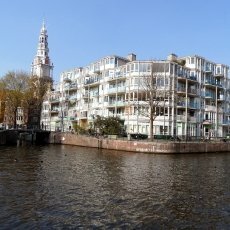 The tower itself is worth visiting, as it offers great panoramic views of the surrounding area from it’s height of 80 meters. 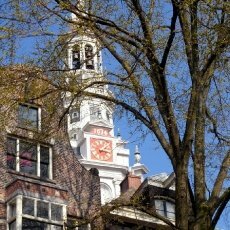 If you decide to visit the church, you can do it from Monday through Saturday between 10:00 and 17:00; just keep in mind that the tower is open for visitors only during the summer months, however the carillon can be heard playing every Sunday between 16:00 and 17:00. 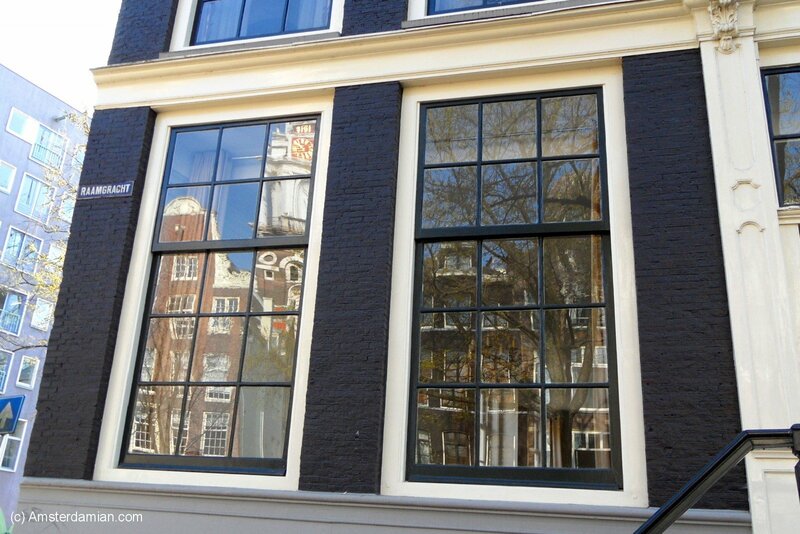 Amsterdam gods on country . 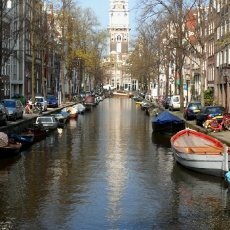 so very very beautiful in summer time.